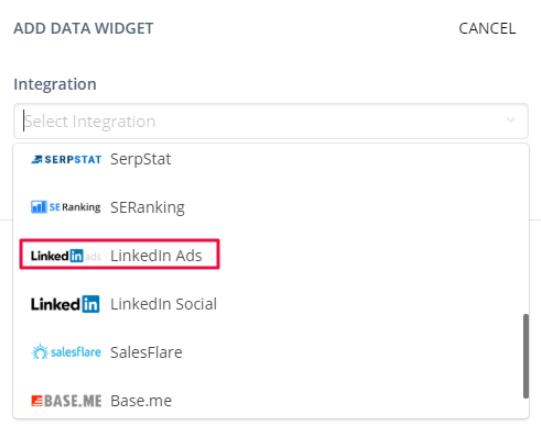 You can create LinkedIn Ads widgets in your Reportz dashboard in 4 easy steps. 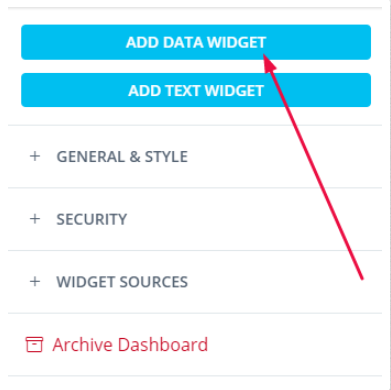 Once you’re in the dashboard you want, in the upper right corner of the app, click on Add Data Widget and choose the Integration you want. 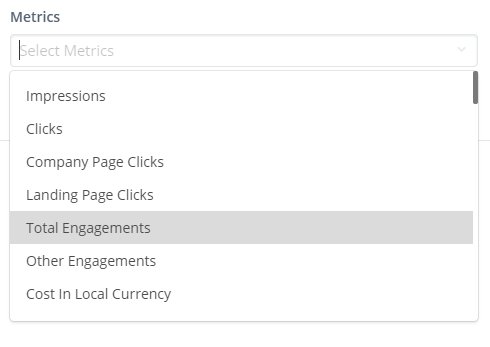 In the Select Account menu, choose the account for which you want to show the metrics, and click Next. Again you have to choose the account in the step 2 Select Account menu. 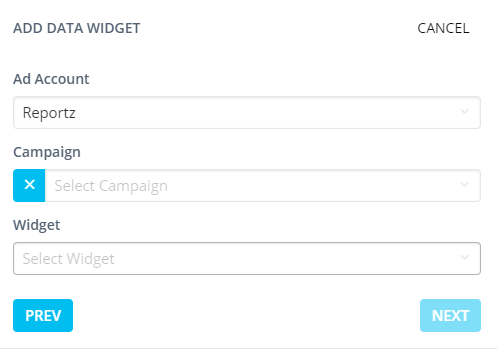 Then opt for the Campaign you want and select the widget type you want. Now, it’s time to choose the dimension for your LinkedIn Ads widget. You can opt for Ad, Day, or Month. The final thing in this step is choosing the metrics you want shown in your widget, and click Next. 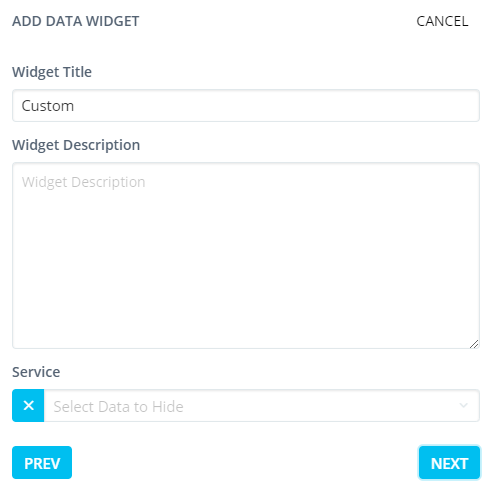 Here you can award your widget with a name, add description if you want, and select metrics you don't want shown in your widget. In the final step of creating LinkedIn Ads widget, you simply need to choose the type of chart/graph in terms of size and the visual type of your widget. Once you’re happy with your choices, simply click on Submit. 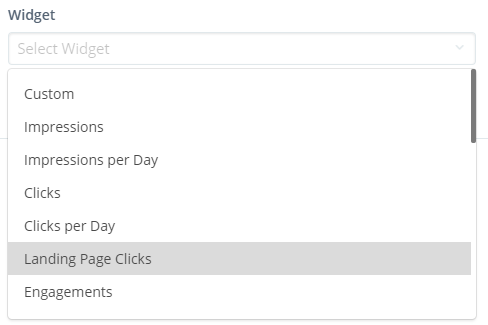 The widget below shows the number of Clicks, Comments and Page Views for the selected date range. 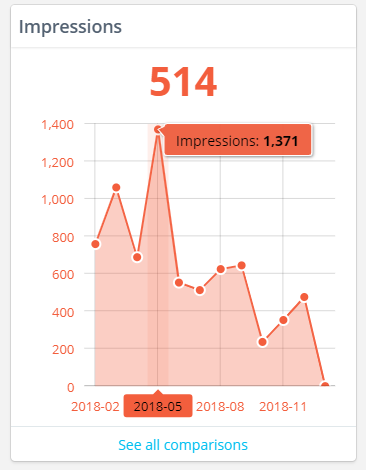 NOTE: By hovering a cursor over a certain point in time on your chart, you can see the exact number of, in this case Page Views, for that particular moment within the date range you’ve chosen.